Learn the various ways to close an image in Photoshop when you're done viewing or editing it. We'll learn how to close a single image, how to close multiple images at once, how to close images with unsaved changes, and how to close an image and return to Adobe Bridge. 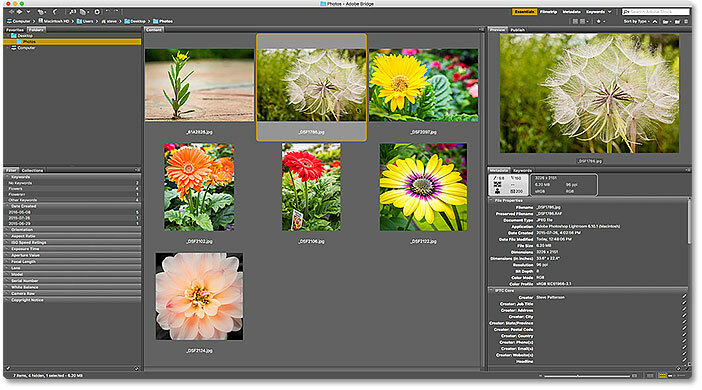 In this series of tutorials on getting our images into Photoshop, we've learned how to set Photoshop as our default image editor for both Windows and Mac. We learned how to open images using Photoshop's Start screen, and how to open them into Photoshop from Adobe Bridge. We've even looked at how to open images into Photoshop's image editing plugin, Camera Raw, before moving them over to Photoshop. Knowing how to get our images into Photoshop is obviously important. But so is knowing how to close those images when we're done. In this quick tutorial, we'll learn how to close a single image, and how to close multiple images at once. We'll look at what happens when we try to close an image with unsaved changes. 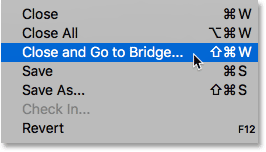 And finally, we'll learn how to close an image and return to Adobe Bridge. This is lesson 10 of 10 in Chapter 2 - Opening Images Into Photoshop. Let's get started! An image open in Photoshop CC. Photo credit: Steve Patterson. To close a single image, go to File > Close. Click the "x" in the tab to close the document. To close all open images, go to File > Close All. An asterisk in the tab means you have unsaved changes. To close an image that has unsaved changes, go up to the File menu and choose Close, or click the "x" icon in the document's tab. Photoshop will ask if you want to save your work before closing the image. Choose whether or not you want to save your work. One very important thing to be aware of is that if you choose No (Win) / Don't Save (Mac), Photoshop will still close your image. But since you didn't save your work, any edits you made will be lost forever. If you simply want to cancel the closing process and return to your image, choose Cancel instead. 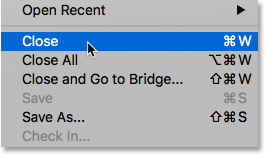 If you have two or more images open in Photoshop that have unsaved changes, you can close them all at once by going up to the File menu and choosing Close All. 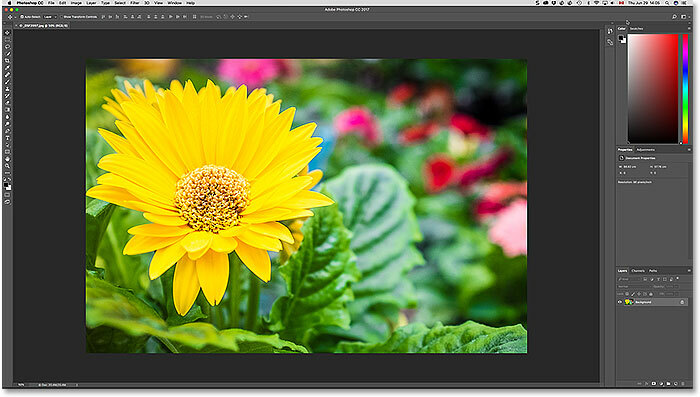 Before it closes your first image, Photoshop will ask if you want to save your work. You'll see the same options to choose from (Yes, No or Cancel on a Windows PC, or Save, Don't Save or Cancel on a Mac). 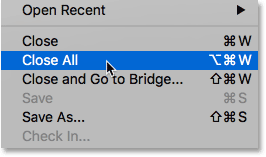 Choose "Apply to All" to save or not save all open images. And there we have it! That's a quick look at all of the ways to close your images in Photoshop! And, that brings us to the end of Chapter 2 - Opening Images into Photoshop! In the next chapter (Chapter 3), we'll learn all about the Photoshop interface! Or for more chapters and for our latest tutorials, visit our Photoshop Basics section!